Vicki joined the 321Blink team and immediately integrated herself to everyone with a big dish of candy right next to her desk. We are so easy to please. 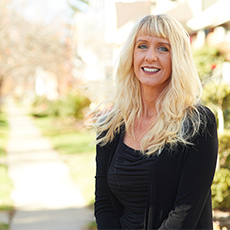 Vicki has over 20 years of experience in the production industry and was brought on board to oversee many aspects of our operation, including project management, work flow analysis, and budgeting and cost analysis. She often describes herself as a left-brained person in a right-brained world and we’re glad to have her wonderful charm and insight on the team. 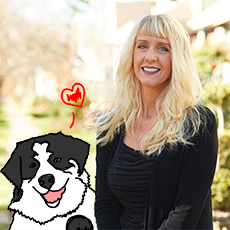 Vicki loves dogs and has a Border Collie/Australian Shepherd named Karma. When she’s not ruling the roost at our world headquarters she hopes to be curled up on a couch reading a book or playing Candy Crush.